The trio of Bloodsport (1988), Cyborg (1989) and Kickboxer (1989) were more than enough to establish Belgian strongman Jean-Claude Van Damme, the “muscles from Brussels”, as the new international martial arts / action hopeful. Universal Soldier (1992) cemented Van Damme’s reputation in America, giving way to a cameo in the surprisingly intelligent Arnold Schwarzenegger action movie deconstruction / genre sendup Last Action Hero (1993). 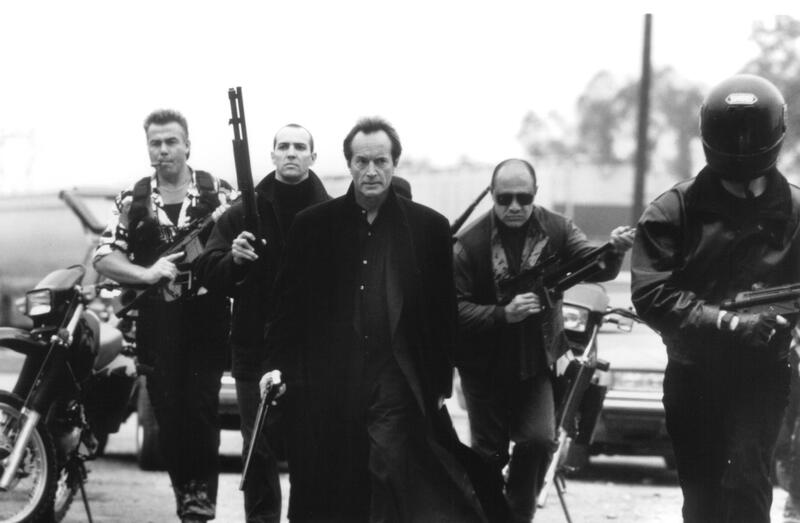 Before his widely derided vanity project Street Fighter (1994) failed there was Hard Target (1993), a cynical pastiche of western conventions under guise of a no-holds-barred action movie, set against the backdrop of a decaying New Orleans in the contemporary Deep South. 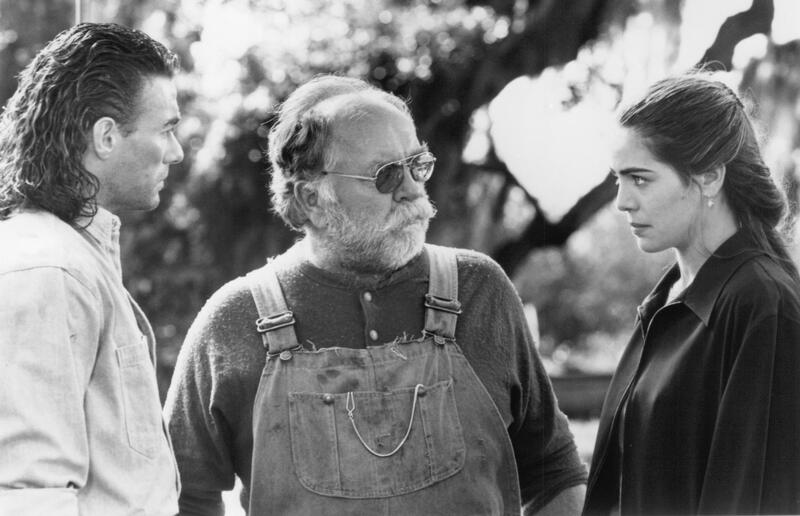 Hard Target is so American that you can smell the swamps, the humidity and the cynicism. Chosen to direct Hard Target was Hong Kong action and bullet ballet specialist John Woo, who had stunned the world with the highly-kenetic Chow Yun-Fat heroic bloodshed offerings A Better Tomorrow (1986), The Killer (1989), Bullet In the Head (1990), and Hard Boiled (1992). Studio interference ensured that Woo’s visual trademarks were kept to an absolute minimum as to not affront Western cinematic sensibilities. In other words, the best way of introducing an exciting new action director to the world was by getting rid of the very things that made said director famous in the first place. John Woo’s trek through Hollywood continued with the John Travolta Die Hard (1989) knockoff Broken Arrow (1996), the science-fiction actioner Face/Off (1997) that pitted Travolta against then-indie-darling Nicholas Cage and the much publicized Tom Cruise starring and produced Mission: Impossible II (2000). Woo did in fact conquer Hollywood, be it through intermediaries as Quentin Tarantino, Robert Rodriguez, and the Wachowskis – each of whoms prime endeavours were rife with Hong Kong action aesthetics. John Woo’s English-language debut Hard Target is first and foremost a homage to classic westerns. After an opening montage that has the feel of a 90s update of The Most Dangerous Game (1932) tough-as-nails Marine Force Recon turned merchant sailor Chance Boudreaux (Jean Claude Van Damme) saves 20-something Natasha Binder (Yancy Butler) from a swarming gang of thugs in one of the rough, lawless areas of New Orleans - more or less the Detroit of the Bayou in the mid-90s - which is about as vintage western as you’re likely to get. Mousy, wide-eyed, husky-voiced Michigan native Natasha soon hires Boudreaux - a mid-90s mulleted, denim-clad, boot-wearing, redneck equivalent to Clint Eastwood’s Man With No Name from Sergio Leone’s A Fistful Of Dollars (1964) – in locating her father Douglas (Chuck Pfarrer), a former Marine Recon that has become homeless in the two decades since Vietnam. Nefarious entrepreneur Emil Fouchon (Lance Henriksen) and his right-hand man Pik Van Cleef (Arnold Vosloo) have chosen the deep South as the latest target for their business venture that offers a very peculiar service: the possibiity for the incredibly wealthy to hunt the undesirable and the poor in the world’s most unhospitable regions. When Boudreaux’ homeless friend Elijah Roper (Willie C. Carpenter, as Willie Carpenter) is preyed upon things take a turn for the personal. With the help of detective Marie Mitchell (Kasi Lemmons) and his hermit, shotgun toting, moonshine brewing, hicks-from-the-sticks Uncle Douvee (Wilford Brimley) Chance at least has a fighting chance against Van Cleef and Fouchon. There’s nothing to complain about Van Damme’s martial arts skills or the action choreography and Woo doesn’t have to rely on clever editing and trickery to make the fights any more hard-hitting than they already are. Typical of Western action the fights are clunky, slow and without much rhythm. This isn’t Hong Kong after all. Henriksen and Vosloo relish in the villainous glee as leader and henchman, respectively. 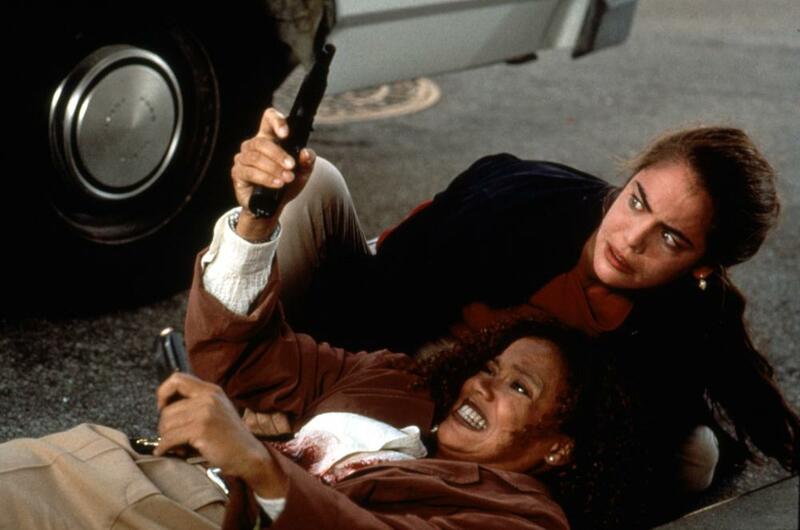 Kasi Lemmons’ detective Marie Mitchell is too much of a one-note character to be anything beyond her designated archetype – and it’s telling that her and Willie C. Carpenter’s minority characters need to serve as sacrificial lambs before the Caucasian hero gets serious about stopping the threat of Henriksen’s Emil Fouchon. In fact it’s downright bizarre that in the entirety of New Orleans Lemmons’ and Carpenter’s characters are the only African-Americans in sight. Wilford Brimley lends an odd sense of credibility to what otherwise is an exercise in futility. Since this is Hollywood, and Hollywood needs its clichés; there’s the obligatory scene where the heroes outrun the fireball. At least there are the expected funny one-liners with “poor people get bored, too” serving as a coda. Woo has the homages to classic westerns flying about fast and thick. Jean Claude Van Damme plays a drifter, a western character archetype. Like many drifters that Eastwood portrayed Boudreaux is a silent man of action. During the streetbrawl wherein Chance introduces himself to Natasha, Woo has Van Damme tuck his longcoat back as he and his assailants briefly exchange glances much in the way of a typical western duel. In their search for Natasha’s father they team up with a local detective, which is the closest Hard Target gets to the western convention of teaming up with the sheriff. “Ladies first,” says Van Damme’s Chance to Butler’s character in a scene scribbled almost verbatim from Butch Cassidy and the Sundance Kid (1969). Arnold Vosloo’s character is an obvious tribute to western regular Lee Van Cleef. There are corrupt businessmen and doctors abound, and law enforcement is conveniently absent due to a strike. The New Orleans of Hard Target is mysteriously deserted and probably has the lowest count of African-Americans, an unfortunate reminder that black people in westerns weren’t allowed in until 1960 and only became regular cast members in the 1970s. There’s plenty of horseback riding and stuff blows up with all the fireworks John Woo is known for for absolutely no logical reason at all. The score is full of electric guitar, banjo and ‘Born On the Bayou’ from Creedence Clear Water Revival has a prominent place in the soundtrack. Of course do Natasha and Chance ride off into the sunset at the conclusion as if all the other western allusions weren’t obvious enough already. Hard Target is another take on The Most Dangerous Game (1932) that isn’t helped in the slightest by two leads with no apparent acting skill. Van Damme still hasn’t mastered Shakespeare’s language but at least the script offers a reasonably fun explanation for Boudreaux’ thick French accent. Butler - daughter of Joe Butler, the drummer of American rock band The Lovin’ Spoonful, famous for their 1966 hit ‘Summer in the City’ – was primarily a TV actress and, to be entirely frank, it shows. Her constant look of bepuzzlement is priceless as if Butler is wondering how she ever agreed to this screenplay. 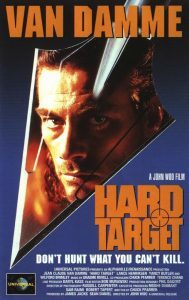 Henriksen is at his best when he plays villains and Hard Target allows him to show his range. 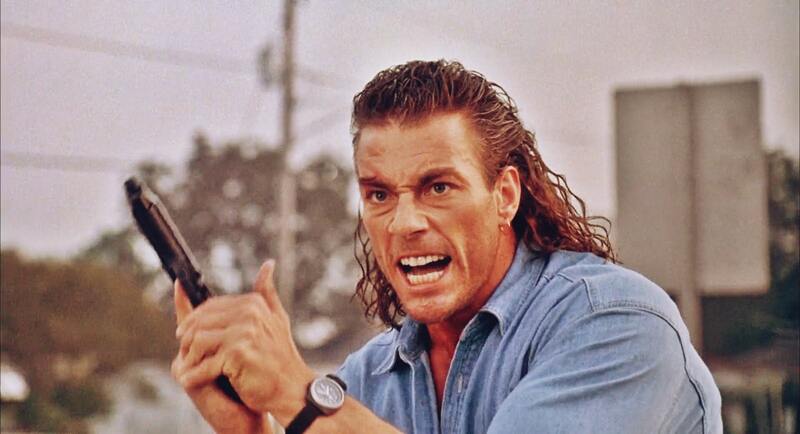 The mid-nineties weren’t kind to Jean-Claude Van Damme with interchangeable actioners as Timecop (1992), Sudden Death (1995) and Maximum Risk (1996). There was never any question about Van Damme as a martial artist which his early titles Cyborg (1989), Kickboxer (1989) and Lionheart (1990) so aptly demonstrated. Universal Soldier (1992) required him to emote minimally but that movie was actually helped by Van Damme’s detached, robotic performance. Hard Target is certainly better than Replicant (2001) but that isn’t much in the way of a compliment. 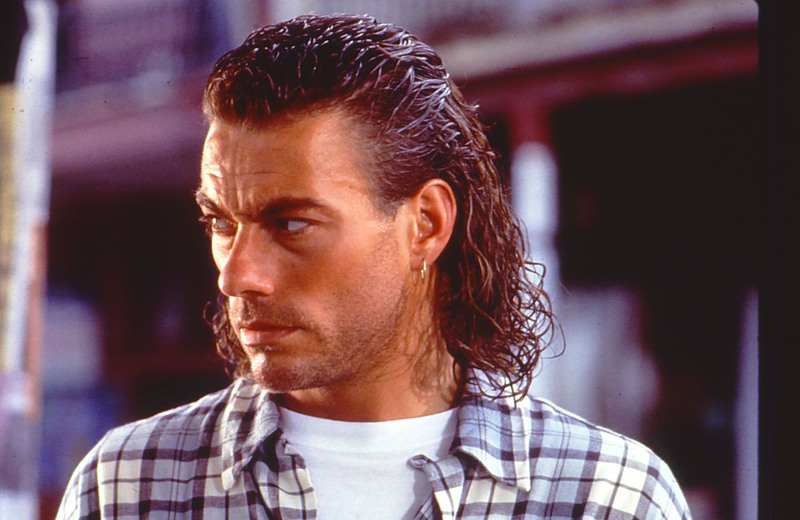 As far as Van Damme action romps go, there are far worse offenders than the routine Hard Target. John Woo did right in dressing this up as a thinly-veiled homage to his favorite westerns.